Building off of this post. Rather than clutter the VGG chat thread I figured I would make a new thread to help keep me accountable. I am going to try to post daily about my experience with my 30 day, 100 push ups a day challenge. I need something to do this winter and I hope I found my thing. Everyone is welcome to join me or do their own exercise thing and post about it here. EDIT: I will be putting links to help folks with exercising. 1. 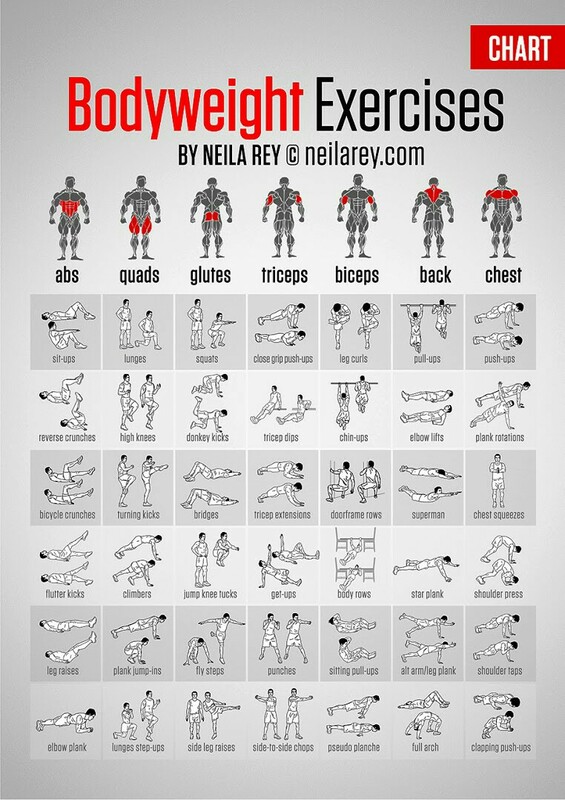 Body weight exercises for those who do not want to use weights. 2. Looking for a work out routine? Check out here or the video here. Day 1 of my 30 day challenge of doing 100 push ups each day. Total for the day = 20. I was hoping work was going to continue to be slow today, so I could have plenty of time to sneak away and do some sets of 10, but it wasn't. It was surprisingly busy up until the last few seconds of quitting time. No push ups done at work. Then I got home and was too tired when I entered the door to want to do anything but sit. I did get 10 in just before dinner, but now I am too full to want to do anything. I have 2-3 hours to digest food try to get 90 push ups in before bed. I think doing my max yesterday wasn't so smart because I feel tight in the top part of my pecs. That made doing my first set a little difficult. I have strong doubts that I make my quota today. Now worries, I am not giving up. I will try not to hurt myself and consider the first time I get 100 in my very first day of the challenge, so today may just be warm up. Yeesh, I just did a set of 5. Don't get old, folks. Did another set of 5. Definitely going to take it easy. You can do it. Push it. Push it real good. But maybe starting with 100 a day from the get go is a bit hard. If you have the feeling that it is hard to get the 10x10 sets in a day, maybe tone down the challenge a bit, and increase the amount over time. Maybe start with 25 (or even 10) a day over 1 week, then try to double it until you reached the set treshold. I have to admit that I had the good intention last year, to do push ups every day, starting with 10 and slowly raising the bar. I started January 1st, but got sick around 3rd or 4th, making me feel week, getting out of breath quicker than usual etc. And of course I forgot about this around mid of January. Go Rudy! I've been getting a little out of shape over the last year so I'll join you. I don't know if I'll ever hit 100 in a single day but I will try. I would exercise but the cat is on my lap. She keeps trying to leave, but I'm having none of that. Ok, I did 50 in 5 sets (started with 15 in the first, finished with only 6) - then I felt like I was going to throw up so I decided to stop for a while. I may try to do more before bed but I'm probably going to be in a lot of pain tomorrow. I'd high five you, if I could lift my arm up. I have an exercise bike in my room. Last winter I did a lot of reading on it and that helped me stay faithful just about everyday. I should try to jump back on that again now that it's consistently freezing outside. I won't be joining you in your insanity goals but I hope it goes well! For me, anything below 70 F° is cold, but it did get down to the teens with the wind here this week. The floor is not gonna hump itself! I tested the waters this evening. Managed to do a single set of 30, then gave up. What type of pushups are you doing? Hands in close under the armpits with elbows pointed backward? Wide armed using all chest muscles? Hands in a diamond shape? Hands just wider than shoulder width? All use different muscles. You may even be able to get more pushups in by doing all different types. Hey good on you Rudy! I started a push up routine a couple of months ago based on a suggestion on the MyFitnessPal newsletter, which is pretty good. They suggested doing press ups and squats every day for a month. I do a single session, about 35 press ups and 35 squats. Also I do hamstring stretches. My aim is to keep my back in good shape as I get a sore back. I am doing hands at shoulder length. I did pushups and situps every day for about six months straight. Then one morning I woke up and I had a shooting pain in my left shoulder. Turns out I wrecked my rotator cuff. Long story short: Doctors, X-Rays, proposed ultrasound that I blew off because I didn't ever believe it was a bone break, (painful) rehab exercises for 4 months. I haven't done a push-up since. Today my pec muscles still feel tight and a little sore. It's going to be another warm up day. I will attempt a set after work and see how my body feels. I really want to do 100 in a day but I'd be cautious than to do something to hurt myself. I'll get there. I am going to lay off regular shoulder width push ups tonight and try the diamond shape. Thanks for this! I don't recommend this, haha...they are extra difficult. I am going to lay off regular shoulder width push ups tonight and try the diamond shape. You can't tell me what to do!! Edit: You were right, I stopped at 3. I wanted to join in too, but my arm/shoulder strength has been crap for the last 5 years or so. Plus trying to ramp up fast has been a huge pitfall for me. So I just did 10 wall pushups. I'll try to do another set of 10 later this afternoon.